The weekend started Friday with the members responding to a number of calls which started after the storm moved through the area. The First call was to assist the PD at Coffroath and Cambridge Rd with traffic control at a police incident. 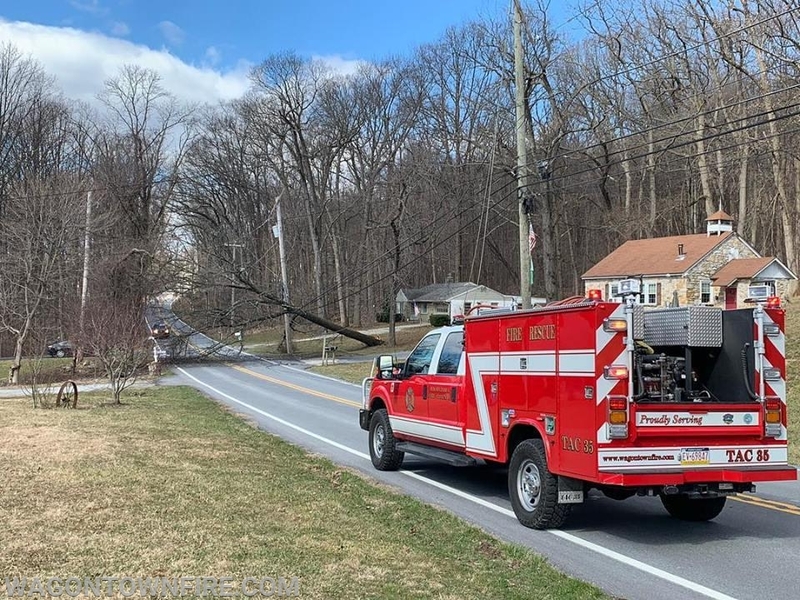 Then the trees and wires calls commenced, the first was to the 100 Block of Suchak Lane in West Caln, where wires were burning in a tree and PECO was notified to respond at 21:27 Hours. 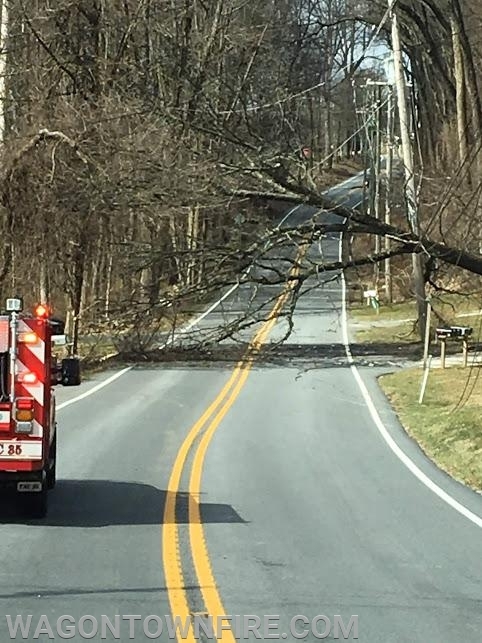 The next was to the 200 Block of East Mattson Hollow Rd where lightning had struck a tree and eventually it burned through dropping on power lines, again crews waited for PECO to respond and then could extinguish the resulting fire. This was at 22:26 Hours with the crews clearing just after midnight. Then on Saturday at 09:24 the company was requested by PD to assist with a search at Cambridge and Coffroath Rds. The Company made the response and assisted PD. While on this call, the Tac was sent to the 100 Block of Hurley Rd. for a transformer fire, there they found a transformer having issues and notified PECO to respond. While returning a tree came down on Rt. 340 at Dunlap Lane, bringing all the lines down, also striking a vehicle. Crews were dispatched and no injuries were reported however FD remained due to the power issues until PECO responded to shut the power down. The other units then cleared the previous search and joined the company on Rt. 340, crews cleared the scene 4 hours later with the fire police keeping the roadway closed. 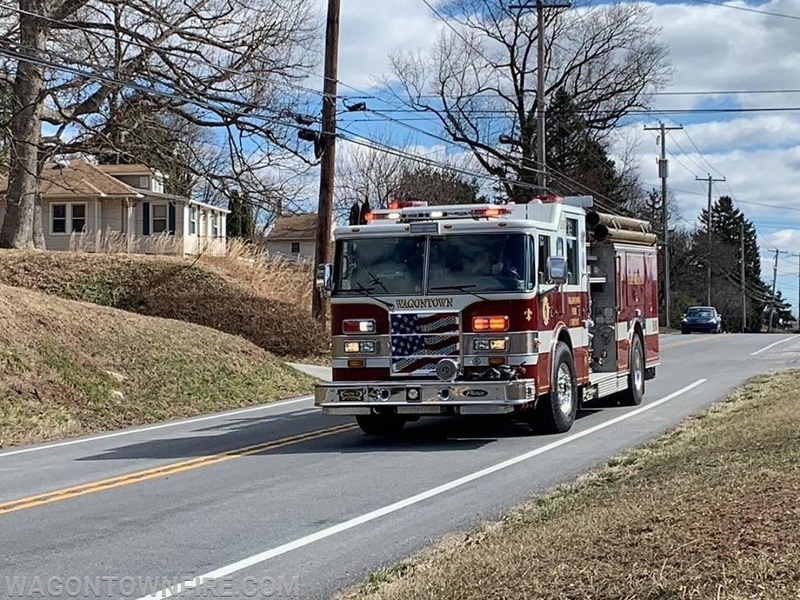 Then at 20:35 the company was dispatched to the area of the 100 Block of Hibernia Rd., for a possible brush fire. Chief's arrived onscene to find a fire pit being attended with no issues and the assignment returned. As you can see our members spent a lot of time away from home this weekend taking care of these incidents. Thank you to all the members who responded.